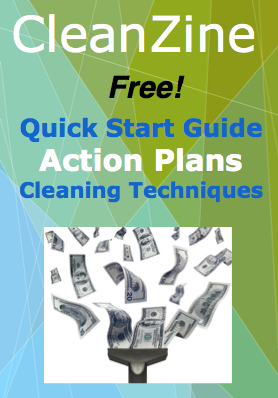 Trying to figure out how to get cleaning business leads for your cleaning service? Forget leads! You need to find the best motivated clients for your business. The best potential client will not be the same for ever cleaning business owner, you need to pre-qualify them. You need targeted pre-qualified prospects that fit your stated business goals and then you need to target your message directly to that demographic. Go to the source. You need to do a lot of espionage, you need to find every neighborhood you want to work in by touring them and getting a feel for them. You will tailor your marketing efforts to that neighborhood. Go to the source. Hmmm, sounds familiar. Same deal, you need to tour all the office parks and find the ones that look like they would be the best fit for you. Go to the source. See a trend here? You need find the businesses that need exactly the service you want to provide. It is no good spending your time pitching a business that primarily needs carpet cleaning and you mostly offer window cleaning services. Wasted time & resources is not a good thing, proper prep can save you time and money in the long run. It is not about getting cleaning business leads! There is the idea put out there in the business start-up world (propagated by the cleaning franchises & TV Infomercials) that you need a secret list of hot leads. This is next to useless. What list? From whom? Containing what exactly? A list of businesses? Well, ok, that is hardly a secret, it's just a bought and resold over & over & over again list of cleaning business leads. You need to go directly to the source. YOU need to find the best candidates. You need to find then in real time! There is no easy shortcut that gets you out of this necessity. No magic trick that gives you access to hundreds of pre-qualified motivated business leads. What are some of the popular magic bullets that do not typically work very well? We have written many articles about the easy and fast lure of social media websites and how they rarely result in actual cleaning work. There are other valid reasons to use social media websites, be sure to read our advice blog find out what they are.